If you are in a pinch for time to pull off a beautiful salad for dinner and want AMAZING quick and easy candied pecans in less than 10 minutes, you have found the only recipe you will ever need! No oven toasting required, just a pan on the stove. These were so fast to make, and I recommend making a double batch if you want to have lots around for future snacking or salads. 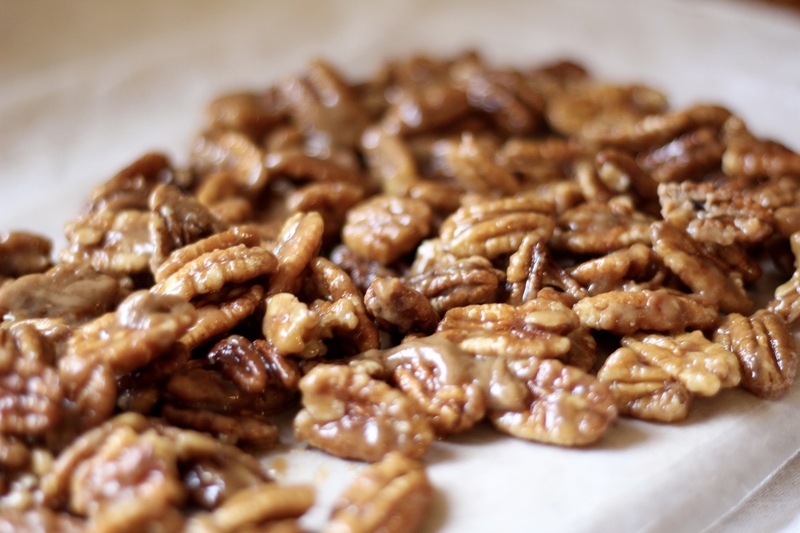 I wanted to make a salad I knew my hubby would like…which means lots of goodies including something sweet like candied pecans. It took an ok salad he would normally have gulped down dutifully, “to be healthy”…(we all do that with salad at times right?) and turned it into a gourmet starter that he LOVED! Here goes the recipe and easy 3 steps to make it! These quick and easy candied pecans only use 4 ingredients: Pecans, butter, brown sugar, and cream. 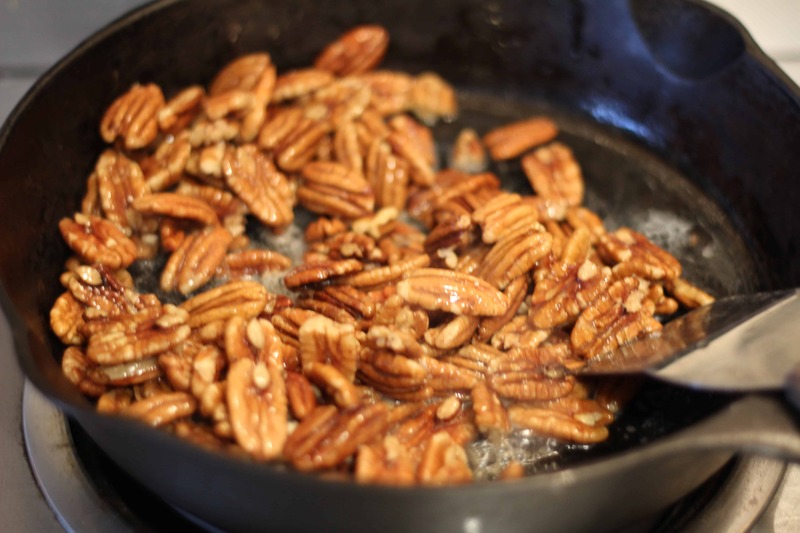 In a pan, melt the butter on med to med high heat and pour in pecans. 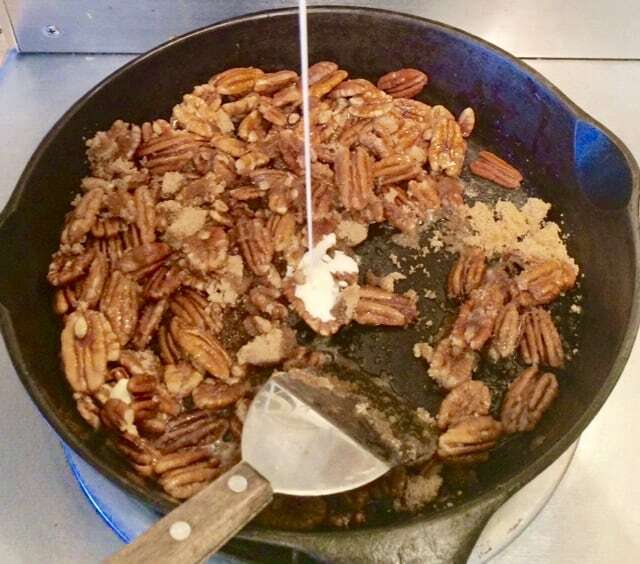 Once the butter melts, add the pecans and coat evenly with butter. I use salted butter. Add brown sugar and heavy whipping cream. Stir to mix over the pecans. Keep stirring/scraping the bottom to make sure all of the mixture gets hot from touching the bottom of the pan. You have to cook long enough that it starts to stick to the pecans, and can test by taking out a piece and letting it cool just a bit. If you don’t cook them at least 5 minutes they will taste amazing but be more sticky. You want to go for a few minutes longer to get that caramel popcorn type coating that is dryer and a tad crunchy. 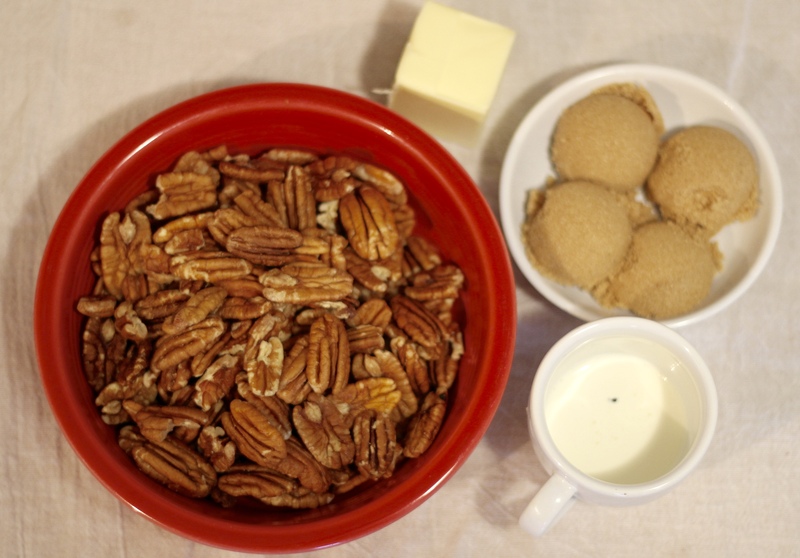 Cream is the savory ingredient to this candied pecan recipe, along with the butter in step 1. Pour it in right after adding the brown sugar and mix. 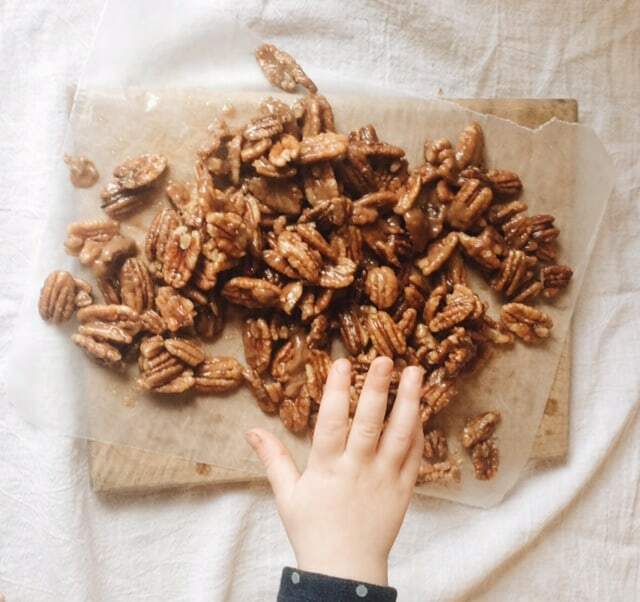 Stop drooling over these candied pecans and go make some. Also, I’d make a double batch because around here a lot get eaten before the salad is ready in the name of quality control. LOL. I would love to know how these turned out and if you tweak anything how that tasted. Leave a comment with your favorite salad topper, and tag me on Instagram if you make them!